Tenebrae launch this new programme of Brahms and Bruckner Motets in the exquisite surroundings and acoustic of St James’s Church, Spanish Place (Marylebone, London). Profits from the sale will go towards Macmillan Cancer Support to aid their incredible work. In association with Classic FM and generously sponsored by Edition Peters Ltd, Tenebrae launched a 'Locus Iste' choir competition to perform with them in the concert. 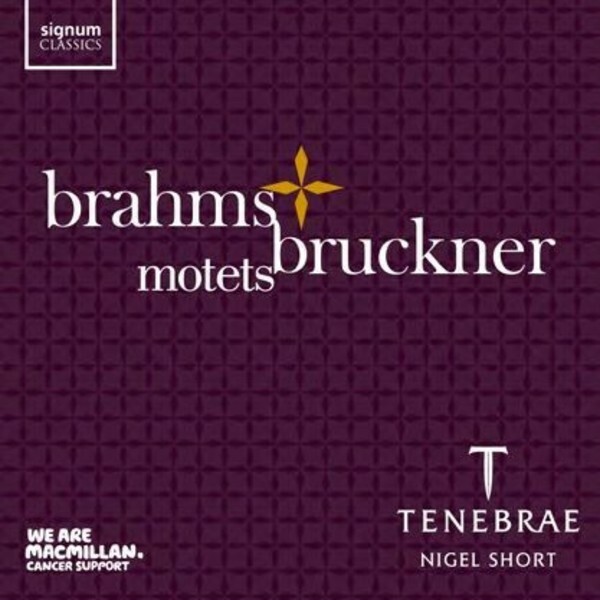 To be in with a chance of winning this once in a lifetime opportunity, choirs had to submit a simple audio recording of Bruckner’s ‘Locus Iste’ to be judged by Tenebrae’s Artistic Director, Nigel Short. Hailed as “one of the country’s most outstanding vocal ensembles” (Evening Standard), award-winning choir Tenebrae blends its passion for singing as if in a large cathedral choir with the breath-taking precision of a chamber ensemble. Tenebrae’s ever-increasing discography has brought about discs for Signum, Decca, Deutsche Grammophon, EMI Classics, LSO Live and Warner Classics, with the choir’s recent recording of Russian Orthodox music being launched on its own label, Bene Arte, receiving glowing reviews and reaching number 1 on the UK Classical Chart.